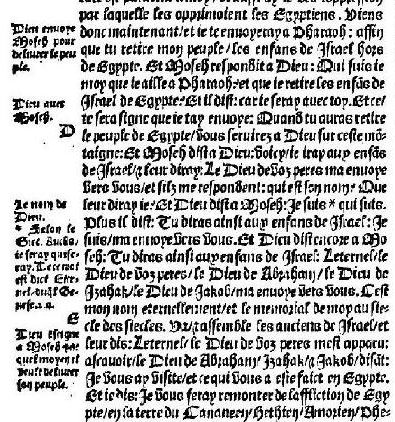 Here is part of Exodus 3 in the first Olivétan Bible 1535, printed by Pierre de Vingle. The complicated script is somewhat degraded in this facsimile. You can pick out the name L’eternel at the end of line 15.